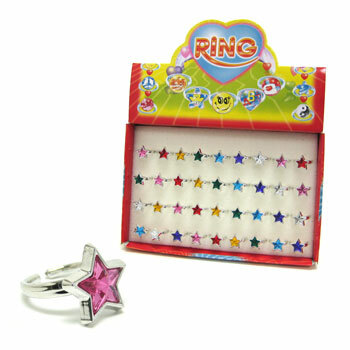 Star rings in assorted shiny colors.1 inch by 1/2 inch. 36 rings per card. Sold by the card. $10.65 per card (36 pieces). $6.95 per card for 20 or more cards. $6.00 per card for 40 or more cards.